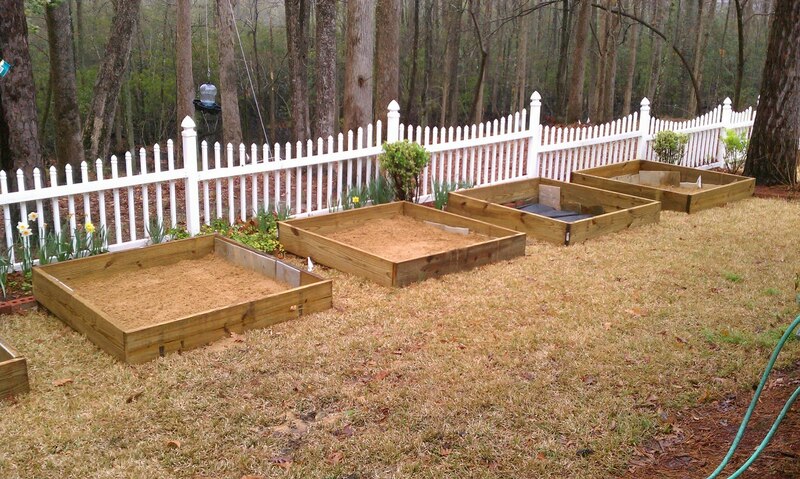 You can build your own or purchase ready-made gardening boxes. 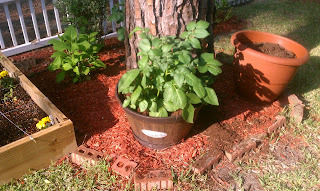 You can also use planting pots. At the bottom of the box(es) or pots, put down slate tiles or black water passable fabric so water can drain. Put three inches of sand on top of the fabric/slate. 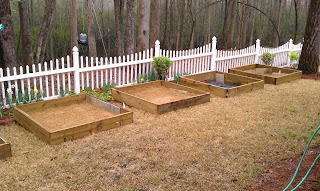 Add the manure/soil mixture. Add your plants. 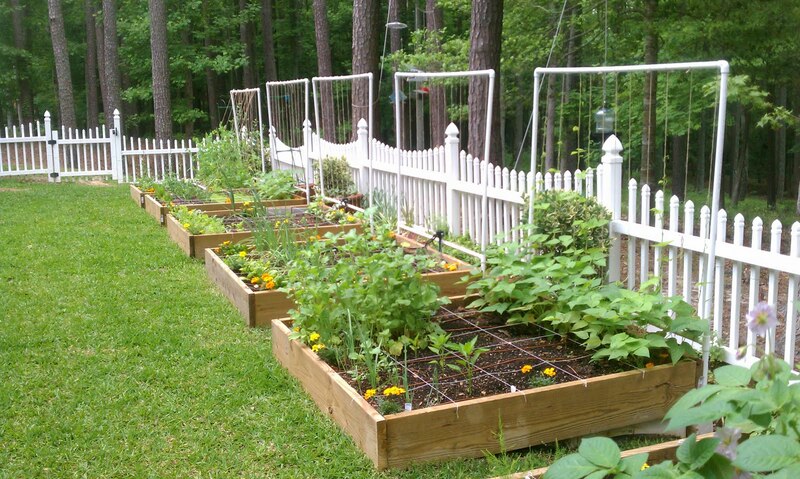 Once the garden boxes or pots are prepared, a dripper irrigation system can be installed. From a garden hose outlet, attach a Y valve to a short water hose. A Y valve allows two different water flow directions. On one of the valve openings, connect a watering timer. Connect a pressure regulator to the automatic water timer. You may want to purchase a water pressure regulator that has a filter and backflow device so you can take care of the three in one simple piece of equipment. Attach flex pipe or PVC pipe to the regulator. The funny pipe or PVC can be purchased in different diameters and lengths for better customization. You can run the flex pipe line underground or above the ground. This is considered the main line. From this main irrigation line, each box or pot should have a tubing tee that connects to a drip manifold. If planting pots are smaller, you do not need a drip system manifold, just the drip tubing attached to the tube tee/adapter. From the manifold or the supply drip line, you can attach porous soaker tubing with pre-drilled holes or irrigation drip tubing to install emitters. From each box or pot, run a supply drip line that does not have holes in it. The only sprinkler drip line that should be porous or have holes will be the drip tube that goes in the garden boxes or planting pots. You can purchase traditional drip line and punch holes yourself with a punch gun or punching tool if you need customize the distance between micro sprinklers. Test the dripping irrigation system before setting the automatic sprinkler timer to ensure that everything is working properly and distributing water where you need it. Install a do-it-yourself micro irrigation system and enjoy your beautiful garden.